There were a lot of mountain bikers, but just as many hikers. The trails are very clearly marked. 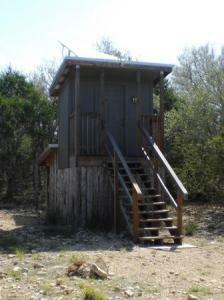 I did the Joe Johnston trail, to Little Windmill, to Sendero Balcones, back to the recharge trail, and home. An early start is best, as it was really hot by Noon. I was on a limited time frame, but I look forward to getting back when I have more time. The last few times I've been to the Island, the seashore has been really busy. Great place to go if you want to sit by the beach or fish, but not much for hiking. If you like to fish or camp by the water, this is the place. Visit the big tree, too. Did this hike with a buddy of mine a few years ago. We felt weird upon reaching the top...we had our gear in backpacks and ran into a family that had 1 little bottle of water. This is a great day hike in Big Bend.